Want to become a WiFi Reseller? Looking to add data to your existing marketing programme? 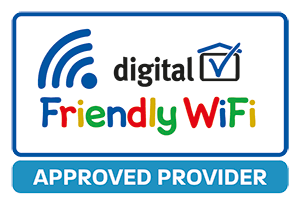 Are your customers looking for a branded WiFi Hotspot? Become a WiFi Reseller of Guest WiFi Hotspot. We offer a branded or white label solution as a bolt on to your existing business. Choose from a referral or reseller programme and generate additional regular monthly income from your customers. Use our cloud infrastructure and knowledge to add powerful data capture and advertising tools branded as your own system. If you’re looking for WiFi for your customer base, our solution is affordable, extendable (we can even cover your outdoor areas) and contains all of the features you need to start using WiFi to become more profitable. We also offer the digital marketing services and specialise in database marketing to enable the best use of your data. Give us a call on +44(0)333 323 5941 and speak to Chris to discuss working with us or fill out the form opposite. Tell us a little more about your business and how WiFi would fit in?